Hillary Clinton made it official today and joined the fray. Click here to listen to Clinton’s official announcement from her website and here to read the actual text. Frankly, reading and listening to Hillary’s announcement is like drinking soda without carbonation. It’s focus grouped for the political fifty-yard line. Just like Al Gore in 2000, Hillary will campaign from weakness. Too fearful to offend the “middle class” or appear weak on national security will result in a mealy mouthed posture. Strength stems from authenticity but does Clinton even know who she really is anymore? Clinton is very closed and insular and listens to a tight circle of advisors like Bush. As we’ve seen, such an insular governing style is dangerous. Her husband was far more open, hungry even for a diversity of information as president. Hopefully, he will serve as an information conduit for her as Eleanor Roosevelt did for FDR. My suspicion however is Hillary would be obsessed with leaks as president and drown inside her bubble. Also, she has the imagination of a grapefruit. Edwards interests me because on domestic issues he’s offering specifics about valuing “work over wealth” whereas Hillary’s a corporatist. I remain troubled about Edwards’ record on Iraq and therefore I’m not quite sold on him yet. Obama to this point is a platitude machine but his candidacy does intrigue me. How will he handle the fishbowl? Is there more to him than “something new”? I’m curious to find out. An Al Gore candidacy would intrigue me because he’s grown as a person since 2000. I suspect he would campaign on candor instead of being afraid to lose. I’d sign up for his campaign in a heartbeat. Alas, it doesn’t appear he will run. I used to believe Hillary was authentic with a core but unlike Gore, the former first lady has regressed. I hoped Hillary would emerge as a Robert Kennedy sort of figure in the senate but she has not put her prestige on the line for the working poor or the cause of peace. Hillary is so afraid of appearing weak that she appears weak. Her pandering on an amendment for flag burning last year has me wondering what else she would surrender to project an image of values and toughness. We don’t need that sort of weakness undermining the progressive cause. Hillary has proven she can take a punch. She also deserves credit for providing effective constituent service as a senator. 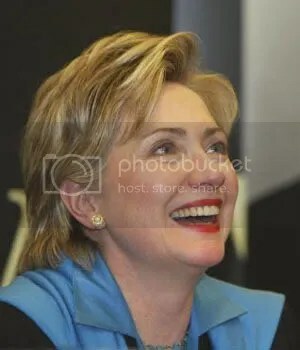 As a senator, Hillary has been a workhorse more than a show-horse unlike Obama or Edwards when he served. As a New Yorker I respect that. But her original support of the Iraq war was a callous and cowardly act of political expediency. Her tepid “if I knew now what I knew then” explanation regarding Iraq is neither believable nor acceptable. War and peace requires a different standard of leadership. Not calculating cynicism resulting in needless bloodshed. I don’t underestimate Hillary. She’s disciplined, smart and tough. And I’d love to support a woman for the White House. We could certainly do worse and this country has. But her candidacy for president does not inspire me and I expect to support somebody else. The topic below was originally posted in my blog, the Intrepid Liberal Journal. It was 1984 and a youthful looking Colorado Senator named Gary Hart was getting traction as the candidate of “new ideas.” Presumptive front-runner, former Vice President Walter Mondale appeared to be a dinosaur as Hart scored an upset in New Hampshire. The two candidates were about the same age but the combination of Gary Hart’s hair and “new ideas” slogan propelled him to the top tier. Only fifteen at the time, I was astounded how Gary Hart succeeded while offering so little substance. You may recall a popular television commercial for the fast food chain restaurant, Wendy’s at the time. 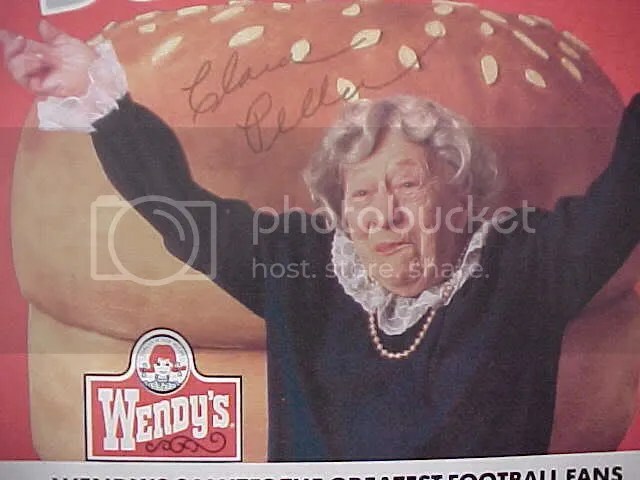 Gray haired Actress Clara Peller stared at an unimpressive looking hamburger and asked, “Where’s the beef?” Mondale effectively neutralized Hart’s momentum by asking the same question about his rival’s program. This week Barack Obama announced the formation of his exploratory committee to run for president and he noted the public wanted “something new.” Reading that I immediately thought of Gary Hart and Clara Peller. Where’s the beef? “Most Democrats don’t like to talk about it, but somebody’s taxes are going to have to go up. Edwards, at least, is willing to say which taxes he would raise to keep the deficit from going through the roof. He would start by eliminating Bush’s tax cuts for the top 2 percent of income earners, which he defines roughly as those earning more than $180,000 to $200,000 a year. He wants to increase the capital gains tax for an interesting reason: In an interview this week, he argued that it’s wrong to tax income from work at a higher rate than income from capital — an extension of his long-standing theme that the country should not value ‘wealth over work.’ He also favors a windfall-profits tax on oil companies. But since health coverage and ‘transforming the energy economy of this country’ are first on his to-do list, Edwards says he is prepared to disappoint voters who make a balanced budget their top priority. My favored candidate for 2008 was Wisconsin Senator Russ Feingold but he’s not running. My next preference is former Vice President Al Gore but it doesn’t appear he has the fire in the belly anymore. As I’ve written previously, Edwards record about the Iraq War troubles me. I believe he supported the congressional resolution supporting President Bush’s misguided venture in Iraq out of political expediency. I can’t help but wonder if his “apology” for supporting the war is also about political expediency. War requires a higher standard of leadership than he’s provided. Yes, today he’s speaking out but seventy percent of the public is with him now. We needed Edwards to speak out in 2002-2003. Nevertheless, I appreciate the progressive campaign Edwards is waging on domestic policy and the specifics he’s offering. In 2004, I regarded Edwards as a Ken Doll and his “two Americas” campaign a mere slogan. This time it appears he’s rising above platitudes. The deficit was out of control but Reagan promised not to raise taxes, won in a landslide and raised taxes for the middle class anyway, which he called “revenue enhancements.” And he got away with it. An optimist however might note John Edwards on his worst day is far more charismatic than Walter Mondale ever was on his best day. Perhaps Edwards is just the candidate to sell a specific progressive program and earn a mandate for real change. Without either Feingold or Gore in the race I don’t know which candidate I’m going to volunteer for yet. For damn sure I want more than platitudes such as “something new” offered by Obama. I want to know where the beef is. Martin Luther King Jr.’s birthday this week had me thinking about other pioneers with grace, wisdom and decency. 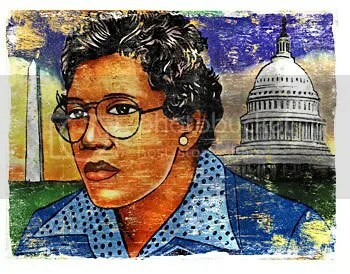 One figure worth remembering is Barbara Jordan. It happens January 17th was the 11th anniversary of her death at the age of 59. Jordan was a rare figure who combined gravitas with humility. She broke down barriers to walk the corridors of power but never forgot where she came from. Educated in the public schools of Houston, Jordan graduated from Phillis Wheatley High School in 1952. Upon earning her B.A. in political science and history from Texas Southern University in 1956 she graduated from Boston University Law School in 1959. Think about that for moment – a black woman from Texas earned a law degree in 1959. Jordan was admitted to the Massachusetts and Texas bars and began practicing law in Houston in 1960. Her first attempts at elected office were not successful as a candidate for state representative in 1962 and 1964. Thankfully, Jordan didn’t give up and in 1966 she became the first African American state senator from Texas since 1883. She served in that body until 1972. Jordan joined the 93rd Congress defeating Republican Paul Merritt to represent Texas’ Eighteenth District in the House of Representatives. She served in the House until 1979. Jordan’s expertise and passion for constitutional law placed her on the House Judiciary Committee as congress considered the merits of impeaching President Richard Nixon. Below is the text of her powerful speech delivered on July 25,1974. Jordan’s words are especially poignant when considering the crimes of the Bush/Cheney Administration. The topic below was originally posted in my blog the Intrepid Liberal Journal. Eleven U.S. Attorneys have resigned in the past year. Among those departing is Carol Lam, U.S. Attorney for the Southern District of California. California’s Southern District covers San Diego and Imperial counties. 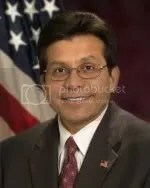 Lam was appointed in 2002 and leaving office on February 15th. Her priorities the past four years were prosecuting political corruption and health care fraud. It was Lam’s office that managed the government’s case against Republican Congressman Randall “Duke” Cunningham who pleaded guilty to taking $2.4 million in bribes. Simply put, I don’t believe him. I’m also irked at Democrats. I realize preventing the reauthorization of the Patriot Act last year was difficult but why couldn’t Democrats at least raise some hell about this provision? 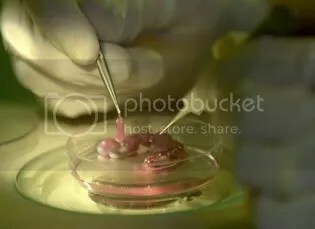 When President Bush severely limited funding for embryonic stem cell research in 2001, it was up to state governments to fill the void. New Jersey immediately seized the initiative and pledged millions for stem cell research. Under Governor Arnold Schwarzenegger, California implemented a $3 billion bond initiative, and other states followed with ballot initiatives or legislation to give scientists grants or to build research centers. My home state of New York remained a wallflower in the stem cell research dance. Remarkable, as New York is the proud home of elite research universities, medical centers and biotechnology companies. Furthermore, embryonic stem cell research can be a huge tax windfall for New York and stimulate job growth. Under Pataki’s lethargic leadership, legislative efforts to direct state funding for embryonic stem cell research was at a functional impasse. Spitzer has proposed passage of a $2 billion 10-year bond initiative for research and development. Half of the money is to be allocated for stem cell research. To entice upstate Republicans, the economic growth component of the project is being heavily promoted. Upstate New York’s economy even struggled during the economic boom of the nineties so this project is likely to even attract support from conservative representatives. Embryonic stem cell research is one example of Albany’s new breeze. Progressives are understandably focused on Washington Democrats because of their new majority and the Bush era of corruption and war mongering. However, I’m more excited by what’s happening under the leadership of Democratic governors such as Montana’s Brian Schweitzer. As a New Yorker I’m encouraged by Eliot Spitzer’s start. His policy initiatives are ambitious and sensible. Spitzer’s proposals on embronic stem cell research, illustrate the reality based community has a dynamic advocate inside the governor’s mansion. It’s been a long time. 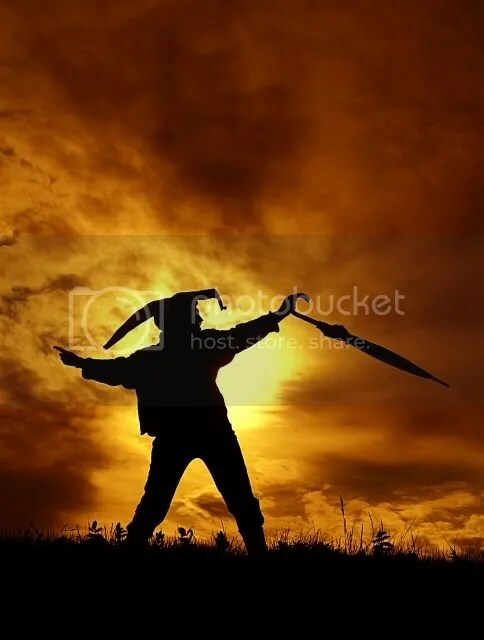 “I have a dream that one day on the red hills of Georgia the sons of former slaves and the sons of former slave owners will be able to sit down together at the table of brotherhood. I have a dream that one day even the state of Mississippi, a state sweltering with the heat of injustice, sweltering with the heat of oppression, will be transformed into an oasis of freedom and justice. 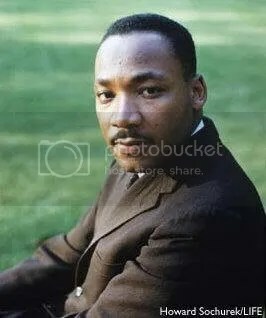 I have a dream that my four little children will one day live in a nation where they will not be judged by the color of their skin but by the content of their character. And the leaders of the world today talk eloquently about peace. Every time we drop our bombs in North Vietnam, President Johnson talks eloquently about peace. What is the problem? They are talking about peace as a distant goal, as an end we seek, but one day we must come to see that peace is not merely a distant goal we seek, but that it is a means by which we arrive at that goal. We must pursue peaceful ends through peaceful means. All of this is saying that, in the final analysis, means and ends must cohere because the end is preexistent in the means, and ultimately destructive means cannot bring about constructive ends. The topic below was originally posted on my blog the Intrepid Liberal Journal. Paul McCartney is hardly my favorite Beatle (John Lennon is) and Magical Mystery Tour is not my favorite Beatle album (Revolver is). Yet the lyrics to McCartney’s “Fool On the Hill” have played inside my head since President Bush’s nationally televised “surge” speech last week. You are currently browsing the Intrepid Liberal Journal Two blog archives for January, 2007.